At Last: The Top Ten Bondy Deck Wines . . .
Wow, has it really been almost a month since we sat down and wrote something for the blog? Hard for us to believe – it’s been super busy around these parts, if fact we aren’t too sure where the last 30 days have gone . . . and more importantly, how we ever found the time to sit down and write every night for 365 straight days – WHEW! Good news from the Polling front – yes, we waited longer than expected to post results . . . simply because we haven’t made the effort to check! Thank you to all of you who took time to vote (with so many votes cast – we think some people need to get out a bit more often – just sayin’) . . . several ties and therefore we are just going to rattle off the Top Ten! As Jackie Gleason always said . . . “and away we go” – – hope some of yours made the list – if not, you should have voted. 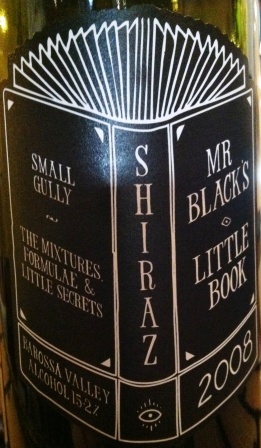 and the Number 1 Bondy Deck Wine is . . . . Thanks again for playing along with us! We’ve actually tried a few new wines since the “official 365” ended and will blog about those soon. In the meantime, send us any more of your favorites and we’ll give them a taste. Help Pick the Top Ten Bondy Deck Wines . . .
Ok, it was a tough choice – BUT, we’ve narrowed down our favorites from the past 365 days and now need your help choosing the Top Ten Bondy Deck Wines. Vote for your Top Ten – If we missed one that you like . . . add it and perhaps others will vote for your pick. We will post final results on September 8th. Remember as with any good poll . . . vote early AND often! Categories: Post, Uncategorized | Tags: bjwine365, Top Ten Bondy Deck Wines | Permalink. Today, we fished with dear friends Trail Boss and Edel – two better people we do not know. We were neighbors for three years when we lived down on the coast of Texas. We’ve now known them for 13 years and truth be told – they are family to us and we treasure the moments that we spend together on the water, having a cold beverage at Hampton’s Landing while the cooks prepare the fish we caught that day, sitting by the pool and just hanging out in the kitchen. The blue water of the Aransas Bay were tough today – lost six Bull Reds at the Fina Docks – for the record, these fish average 40 lbs. Well, as Scarlett O’Hara said . . . tomorrow is another day – up and at ’em at 5:30 a.m.
Well, here we are . . . finally at the end of our journey. 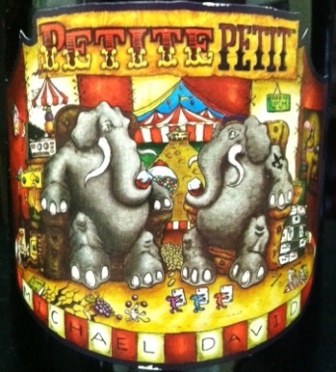 365 days ago, we thought it would be FUN to taste and blog about a different wine every night for a year . . . well, we came – we saw – we conquered. It’s funny, but in many ways we feel somewhat like Forrest Gump when he decided to start running . . . because he just felt like it – well, guess you could say that’s why we started this blog . . . because we just felt like it. And now, much like Forrest said when he decided to stop running after 3 years, 2 months, 14 days and 16 hours – “I’m pretty tired, I think I’ll just go home” “. . . and my running days came to an end.” Ditto for the blog. Yep, to be honest, we’re tired – now, let’s get this straight we aren’t tired of trying new wines . . . just making the daily effort to write about them (trust us, there were many a night that one of us dozed at the computer – BUT, except on a few occasions when “band width” was an issue at the house – we ALWAYS got it done). Hafta admit, in many ways it has been a blast . . . going into a store and perusing shelves to see what looks interesting . . . talking to employees in said stores about wine and learning what they like . . . talking to friends about wines they like . . . talking to family about wines they like . . . exchanging correspondence with people around the world about wines they like . . . tasting wines we NEVER would have thought of trying (mostly whites – thanks Kathryn for pushing us) . . . learning that we HAVE to go to WA and OR and discover more about the wines there . . . learning that a trip to Argentina is in our future . . . hmmmmm – think there is a pattern here. 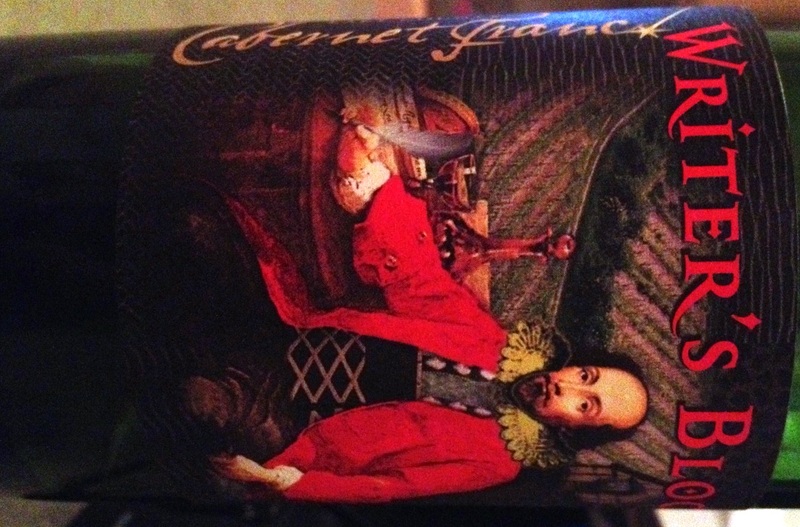 Soooooo – for the final wine, we opened a 2010 Writer’s Block Cab Franc from Steele Winery. 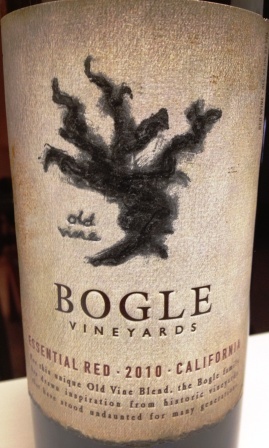 Aside from being the perfect name for our final post, the wine has quite a story. First of all, we thought this wine would be better in the Fall while sitting next to a fire – not a hot Summer night after spending the day fishing in 100 degree heat. 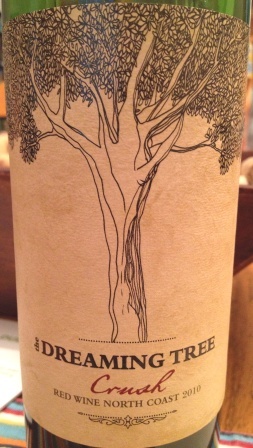 But, we digress – the color is deep burgundy – the cork popped out with ease. On the nose, kinda sweet . 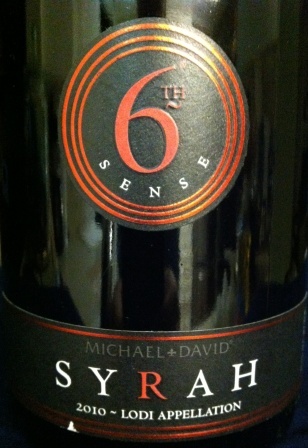 . . notes of blueberry and strawberry with oak aromas. On the palate, very thick . . . must be the juicy plum that we tasted. On the finish . . . initially a tart bomb, but with a bit of airtime it was less explosive – but still on the tart side. Will have to mull overnight whether it will make the Top 20 List. Jean picked this wine up about 2 months ago on a lunch time field trip with Margaret and Lance to East End Wines in Austin. Must admit, when she saw it and sent a picture to Brian – both agreed that it was the PERFECT wine to wrap things up. The cost was reasonable at $13.00. As we wind down, we would be remiss if we didn’t reminisce a tiny bit. Over the last 365 days, we have celebrated the birthday of person we know, and perhaps a few we don’t – celebrated the wedding anniversary of every person we know – remembered the anniversary of those we love who have gone to a better place in Heaven – gone to a wedding, celebrated every holiday and made up a few of our own, taken road trips – gone fishing – made new friends and embraced old ones – in all it has been a wonderful experience. Want to give a SO (shout out) to D#1 and D#2 – thanks for indulging us while we undertook this journey. We love you bolth so much and are proud of the fine women you have become . . . we are blessed. Thanks to everyone for joining us on the ride, it has been real . . . it’s been fun and it’s been real fun – there are many ways to sign off . . . “Happy Trails to you, until we meet again” – “So long, farewell – Auf Wiedersehen, adieu . . . Adieu, adieu – To you and you and you” – “… so glad we had this time, together” – “Goodnight, Mrs. Calabash . . . wherever you are” and finally, “Goodnight and God Bless”. Regardless of your beverage of choice – remember always to enjoy responsibly and recycle whenever possible. P.S. Check back tomorrow for the Top 20 Bondy Deck List – cast votes and help us choose the Top Ten! Well, here we are…the “unofficial” end of summer—yep, it’s Labor Day weekend, and we decided after getting D#2 off to the airport and an extremely long, hot day at work that this was a great weekend to head to the coast. As usual, getting out of town was easier said than done since everyone else is thinking the exact same thing. So, by the time we actually got going, it was well past 7, and there are still plenty of cars and trucks on the highway. Many a Labor Day weekends of the past were spent watching the Jerry Lewis Muscular Dystrophy Telethon from Las Vegas. Remember all of the stars who would come on the show during the 24 hour event? We remember neighborhood carnivals to raise money to bring to the local television station that was televising the annual telethon. We can remember trying to stay awake through the night and not wanting to miss anything. Usually, around midnight, Jerry disappeared for a few hours and Ed McMahon or some other person would take over the announcing duties. Each hour, they would roll the tote board to a new dollar amount of money raised and pledges received. There were rows of phone banks set up to take callers from all over the world, and like a well-oiled machine, when the cut-a-way came to the phone bank, the announcer just happened to be at the exact spot where a phone rings and a volunteer picks up and starts taking a pledge. . .you can’t make this stuff up! As night gave way to the day of Labor Day. . .the tote board was showing amazing numbers and Jerry and the gang were rallying the troops to raise more before the deadline. We can remember being at shopping malls and people talking about the new record balance raised. It was something that actually brought a lot of people together. But, here we are in 2013 and the telethon…as a major event…has gone by the wayside. Gone too would be the phone banks…no longer needed in this smartphone era. Gone was the need to send in a check…your credit card or your debit card would be all that’s needed. And of course, we’ve lost a lot of those stars over the years, and the ones who’ve come after them, well, we just don’t see the same level of commitment. Jerry had a way with a lot of those folks. So, we move past the events of the past and look at today. . .Day 364. In some respects, this has been our telethon…more like a marathon…only we’ve been motivating ourselves to see it through to a proper conclusion. As each day went by, we felt like we were showing the tote board and another day down and only a few more to go! Our phone bank has been replaced by readers, followers and family and friends who have been as much motivators as consumers of our stories. Like Jerry’s kids, we just needed a little bit of love! Tonight we opened a very nice 2009 Innisfree Cabernet Sauvignon from Joseph Phelps. Innisfree…a fictional village in Ireland; the John Wayne film, The Quiet Man was filmed in this village. Anyway, the grapes for this particular vintage were harvested in September and October and were fermented in stainless steel tanks before settling in a combination of 2 and 4 year old French oak barrels for sixteen months. The wine is a delicious treat. Loads of fresh fruit and a slight hint of cedar and tobacco. 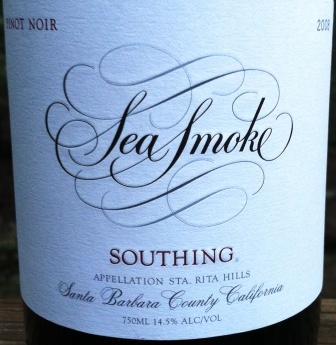 This wine really benefited from the time spent in the barrel…it’s mellow, full-bodied and ready for enjoying. We picked up ours at Twin Liquor’s Dollar Sale and not knowing what to expect, we were really surprised by its’ flavor. Although the days of the Muscular Dystrophy telethon with Jerry Lewis are gone. Two things are important to keep in focus: first, the disease is still affecting children to this day and the efforts made in the telethon’s best years need to be continued. And, two, the world of entertainment, when it gets behind a cause, they have the power to change the world. We hope you have a terrific holiday weekend – we hope to catch some Reds; enjoy your favorite wine responsibly and remember to recycle whenever possible. Categories: Uncategorized | Tags: Innisfree Wine, Jerry Lewis Telethon, Labor Day Weekend | Permalink. Day 363: Family Ties . . .
Today wasn’t just any ordinary day – TODAY, we actually sat around the dinner table and ate dinner as a family of four! For years, this was an everyday occurrence – these days, it’s a gift we treasure and look forward to whenever possible. As you know, D#2 has been in town the last several days and heading back to school in the early a.m., so the fact that D#1 came down after school and Jean left a bit early made for a great rendezvous. AND, the fact that Brian was able to come home at lunch and stoke up the smoker with the ribs he marinated last night – made everyone a happy camper today. D#2 was in charge of keeping the coals at the prescribed temperature – in a manner of speaking, she was the “coal man” for the day. No doubt that without her attention to the thermometer, the ribs would have not been ready at a reasonable hour in order for us to enjoy some family time, enjoy a wonderful meal and finish early enough for D#1 to make it back to Austin before she turned into a pumpkin. Gonna be awhile until we are all together again – like Thanksgiving awhile. Today is also special for another reason – it’s the day that Jean became the “older” sister and no longer the baby of the family. Yep, Sister Sara popped out 48 years ago. Jean can still remember standing outside the hospital with her four siblings waving at the bundle held by her Mom way up on the second floor of the hospital. Home she came, truth be told all the older girls figured a new toy had arrived and managed over the years to have quite a bit of fun with the little one. One moment that is forever etched in the memory banks is the time that Margaret (aka Jean’s Mom) was standing at the washer unloading clothes from the box underneath the laundry chute that descended from the first floor to the basement – – – when lo and behold a pile of bed sheets came tumbling down – only when she heard a screaming baby did Margaret realize that Sara was wrapped in the sheets . . . this is what happens when older siblings entertain themselves with younger ones. Recollection seems to be that a spanking or grounding followed for the perpetrators. Oh, all in fun . . . Sara – Happy Birthday! We love you and wish you’d move back to Texas so we can see you (well, maybe AFTER we come to see you in WA and find all those good wineries we’ve been reading about). 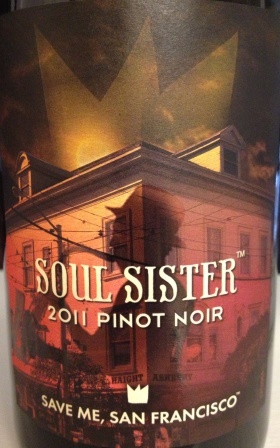 So tonight, we opened up a 2011 Soul Sister from the Save Me, San Francisco Wine Company. 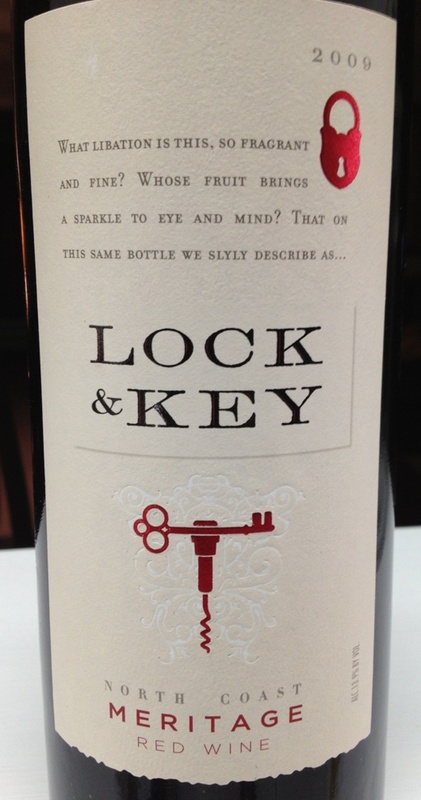 Ok, so just the name of the winery is enough to make you want to try it. 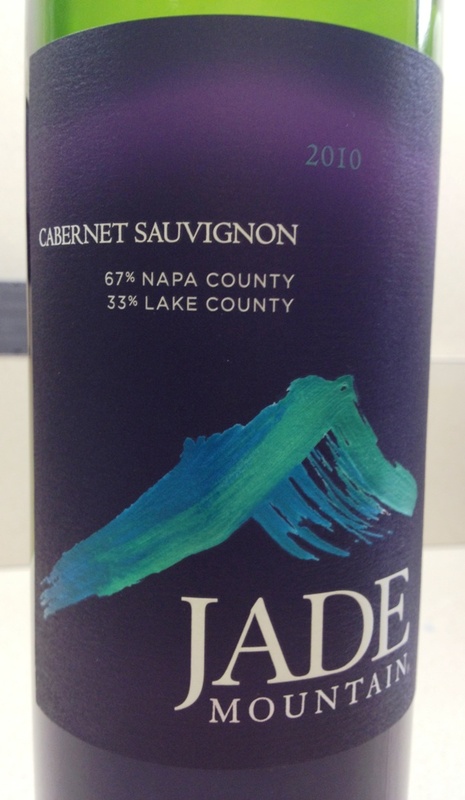 For the record, they also make Chardonnay Calling All Angels and Petite Sirah Drops of Jupiter. Hmmm, now we really are getting just a little out there . . . Popping the cork was a breeze, and the light ruby color ‘trickled’ very nicely into the glass. A little light on the nose, but definitely cherry and strawberry notes. The palate at first was a little too tart for our liking, but about 20 minutes of air time, and it opened up very nicely. The finish was light, but again the cherry and strawberry flavors hung around just long enough to get noticed. Probably not a wine we’d add to “the list”, but certainly was worth a look and “tastesee” (don’t think that is a word, but like it). Picked this one up at World Market for under $11. So, again Happy Birthday Sara – we raise our glasses to you tonight! So glad you were born . . .
Now onto business – we’ve been asked about our final “Top Ten List” – a suggestion has been made that we should extend the Top Ten to the Top Twenty – gotta agree, there are SO many we liked out of 365 . . . so, here’s what we are gonna do . . . on Sunday, (the day after we write about number 365) we will have a list of the Top Twenty and your job is to vote on which ones you think are the Top Ten . . . yes, means you might have to do a little research – rumor has it that Twin is having their Dollar Sale for the next THREE days . . . if you live near one – stock up on some of your favorites from the blog. So, there you have it – we are winding down (Sorry Doug – aka Marvin . . . you got ratted out by P & L) – but, we do have TWO nights left – we will finish with a bang and not a whimper. Until we meet again, remember to enjoy responsibly and recycle whenever possible. Categories: Uncategorized | Tags: Happy Birthday, Sara, Save Me San Francisco Wine Company, Soul Sister 2011 Pinot Nior, Twin Liquors | Permalink. Day 362 – Beware of Wines Named Pleasure! Yeah. . .there should be a rule of thumb in wine tasting. You know, when you taste something that really hits the spot and then you find out its’ name and you’re like, “Oh. . .really? That’s the wine I just tried? Dude, I”m sorry!” Okay, so that conversation may not ever take place, but the result is a wine that gets your attention. . .and NOT in a good way! Finding a bargain, California Pinot Noir is not an easy task, but that’s exactly what we found with a new label, the 2010 Pleasures Pinot Nooir. Most California Pinot Noir is priced in the $15-20 range, but the Pleasures Pinot Noir takes the Quality to Price Ratio to new heights with its price of just $9.99. As tough as it is to keep any quality Pinot in stock, it’s nearly impossible with one at less than $10 a bottle. It’s a very nice Pinot Noir–no hash notes, a little thin for our tastes but a great sipping wine nonetheless. 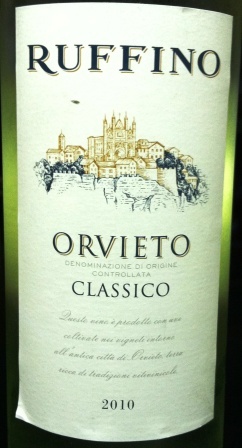 The body is Light/Medium and the wine has a Satin-like texture. It has a short finish but is not unpleasant. Truthfully, there are a lot better wines on the market that deserve your dollars. This isn’t one of them. It’s alright and at 87 points, you can spend that money else where and get a better quality product for virtually the same money. It’s light, fruity, and full of potential, but realistically, when you buy a Pinot, you’re NOT looking for potential, you’re looking for something to enjoy–RIGHT NOW! As the days have dwindled down, we’re finding that the more diverse we try in our wines, the more picky we’re becoming. Having tasted and talked about a variety of outstanding Pinot Noir wines, this one just doesn’t cut the mustard and we’d suggest that you move on. . .with only a few days left in this blog, you’d be better off finding something completely different!!! Thanks for following us! We’re working on a Top 25 poll for you to take. . .it will help us rate the best of the blog and confirm what we’ve been trying to accomplish for the past 365 days! Enjoy your favorite wine responsibly and remember to recycle whenever possible. Have a great rest of the week! Day 361: The Day We Learned Something New About Wine . . . So, the last couple of days we have been here, there and everywhere – with D#2 in town, we both took some time off and spent it with her. Yesterday, Jean and D#2 had lunch with Bill (aka Jean’s Dad) and then hooked up with D#1 in Austin to play catch up and have a snack. It was a wee bit of driving, but rewarding nonetheless. All party’s seemed to have a grand time and be back at their own Casa’s at a reasonable hour. Today, Brian and D#2 hit the road to the Woodlands to check on Grams (aka Brian’s Mom). They headed out in time to rendezvous for lunch – rumor has it and a bit of shopping . . . thank goodness for the Woodlands Mall! Jean took the day off as well – a scheduled local business lunch was in order, so no road trip for her today. But, a busy and productive one it was. Times like these are to be just plain cherished – time is zipping by way to fast, and we all need to just stop and smell the roses every so often. If you haven’t taken time lately to do so – stop and take a whiff, it does the soul good. 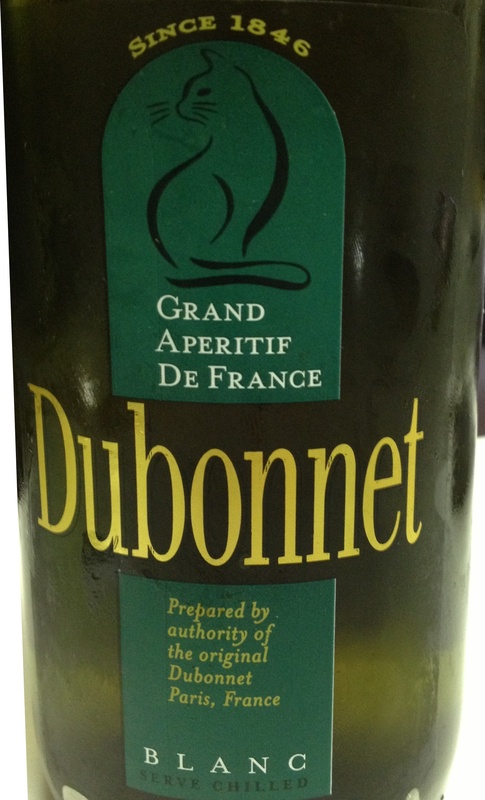 Tonight we opened a wine that has been hanging around for a while – a 2010 Dubonnet Blanc Aperitif Wine that Jean found it on the closeout shelf for $8.00 at the Twin in Kyle a few months back. Being a Blanc, it was easily shoved to the back of the fridge in the hopes of being forgotten. But, in our rummaging around last week, it was uncovered somewhere amidst the leftovers in the fridge. So, we had to do it – as they say . . . “for the sake of the blog”. Trust us, that is the only reason it made it to the front of the line. So, we must freely admit that we really didn’t know what to expect – and even after drinking weren’t too sure what it was. The screw top cap (we don’t hold that attribute against any wine – some of our favorites has screw tops) gave way to a very golden nectar. We say nectar, because it was ever so sweet and had almost a musty taste. We really didn’t care for it – and actually after a short taste almost added it to the sink, but hesitated and thought – maybe it would be better tomorrow. In preparation of writing tonight, we looked it up and found out something ever so interesting about this concoction. It reminded us of a plum wine that we tasted at a Chinese Restaurant in Ballwin, Missouri. . .the owner was an extremely friendly man who delighted in our appreciation of their menu, and when dinner was OVER, provided us with a palate cleanser, Plum Wine. To this day we’ve never forgotten his service! From their website . . . “From its origins with the French Foreign Legion to the legions of modern mixologists still using it today, Dubonnet Rouge Aperitif Wine has been a staple on the cocktail landscape since its introduction in 1846. Created by Parisian chemist / wine merchant Joseph Dubonnet as a means to make quinine more palatable for the soldiers battling malaria in North Africa, Dubonnet’s mix of fortified wine, a proprietary blend of herbs, spices and peels, and the medicinal quinine is a recipe that has earned it legendary status in the world of sophisticated drinks. Nearly two centuries after its introduction, Dubonnet is the number-one selling aperitif brand in the United States, and still made according to the original family recipe. Its 19 percent alcohol content ensures a refreshing drink in the summertime, while its port-like flavors promise a hint of holiday in the winter months. In addition to the more well-known Rouge, Dubonnet Blanc also makes a unique cocktail, as well as an excellent cooking ingredient.” Ok, so WOW – who knew . . .
Now we have to admit, we like what the ancient Egyptians were thinking – what a novel idea . . . a glass of wine BEFORE dinner! Apparently there are recipes – most we found were for the Rouge, but one made with the Blanc sounded interesting: 1940’s Wedding Belle . . . 1/4 Orange – 1/4 oz. Wild Cherry Brandy – 3/4 oz. Burnett’s Gin – 3/4 oz. Dubonnet Blanc. In a mixing glass, stir well with cracked ice and strain into three ounce cocktail glass. . .turn out the lights the party is over!!! Don’t have any of the ingredients, but will give it a try and let you know. Bottom line, it’s not just for drinking solo . . . AND you can teach old dogs new tricks. Post got much longer than expected tonight – tune in tomorrow for how to submit your Top Ten Bondy Deck Wines! Until tomorrow, remember to enjoy responsibly and recycle whenever possible. Categories: Uncategorized | Tags: apertif, Dubonnet Blanc, Dubonnet Blanc Aperitif Wine | Permalink.